Below is a list of Utah golf courses and country clubs that offer weddings services, a banquet hall, etc. 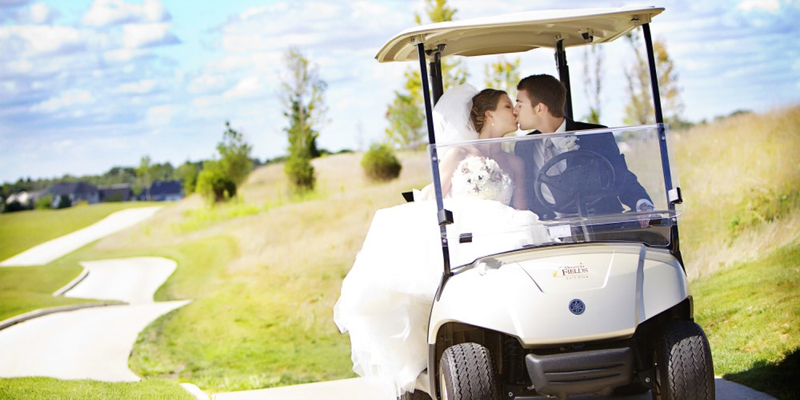 The following golf courses can be booked for your wedding. It might be impossible to remember the moment we first started to dream about the day we would get married. For most it preceded first kisses and even first crushes, to the days of playing dress-up in our mother's closet. Over the years we refined those day dreams into the vision of what our most perfect day could be. A day both sacred and beautiful, where we commit to the one we love most, surrounded by those who love us most. At Thanksgiving Point, we know the value and power of dreams. We began as a dream-a place to experience gratitude, appreciation of beauty, nature, and meaningful connections with those around us. That is why we take our job of fulfilling your dream so seriously. 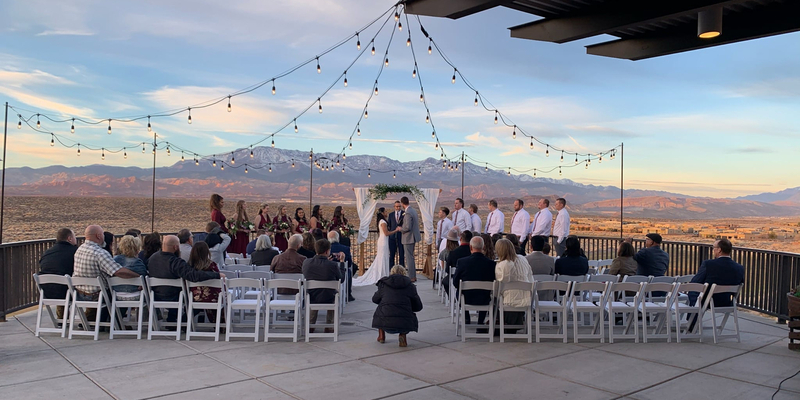 At Thanksgiving Point, we want to make sure your wedding experience is just that - an experience-one you will cherish for the rest of your life. You have waited for this your entire life. Whether you want to say "I do" in an enchanting Victorian garden or atop our geothermal crater surrounded by expansive mountain vistas, celebrate your wedding day at Homestead Resort. Dance the night away in one of our intimate event rooms and feast on gourmet fare. Take your first steps as husband and wife across our beautiful new, scrolled iron bridge. We want your special day to be something you will always remember. Our professional coordinators will assist you with everything from menu planning and seating charts to décor and entertainment, leaving you time to focus on those two little words. Your guests will have many unique adventures to choose from before and after the ceremony including season favorites like golf and sleigh rides to year round fun in our geothermal crater. Our unique setting, architecture and grounds offer a beautiful and memorable wedding experience, any time of the year. A venue this unforgettable demands a staff dedicated to exceeding your expectations. 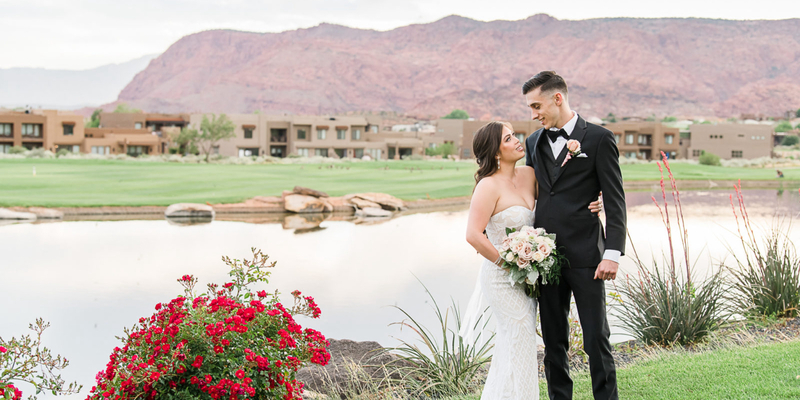 Our particular attention to detail is complimented by the majestic red rock cliffs and sweeping vistas that will frame your wedding day. The club house is elegantly appointed with floor to ceiling windows as well as a spacious dining area and balcony. The menu served at your wedding communicates your love and appreciation for your guests. Our professional chefs will help you pair the right menu items to appeal to your guests' pallets.